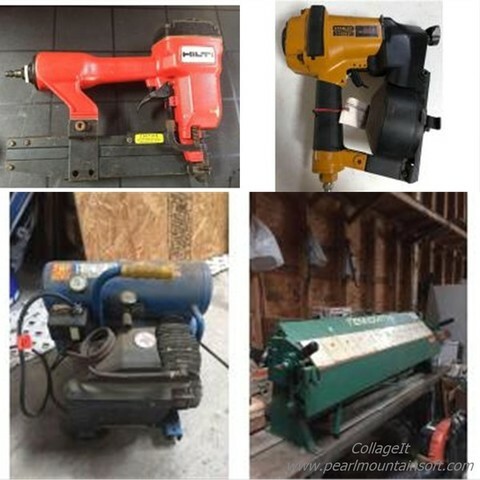 ONSITE INSPECTION: You can inspect the items in person Monday, April 22 11:00 A.M. – 1:00 P.M.
INTERNET AUCTION – Online Bidding Only. 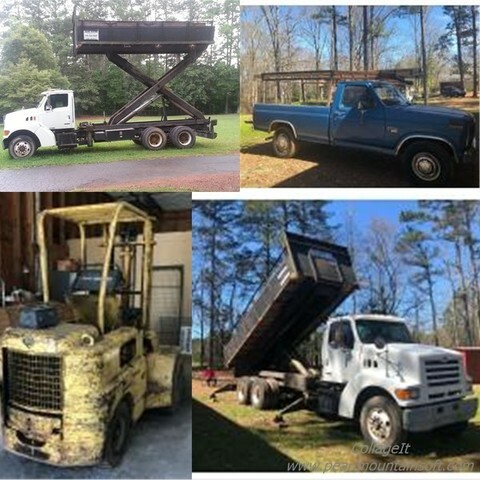 Auction is now open for bidding and will to close Wednesday, April 24 starting at 10:00 A.M.
REGISTER TO BID: You must register to bid on the auction. To register go to the “Click Here for Online Bidding” button. At the top of this page click “Register to Bid” and fill out the registration form. A credit card is required for registration. Please make sure your registration address matches the billing address for your credit card. 1. REGISTRATION DEPOSIT : You must register to bid on the auction with a credit card. Auctioneer shall authorize Buyers’ credit card for $1 (One Dollars) as an Auction Registration deposit. This is a hold only and will be removed at the conclusion of the auction. If you make purchases in the auciton, your credit card will be charged for the purchases as a separate transaction. 3. METHOD OF PAYMENT : Visa MC, AM EX and discover credit cards are accepted. All payments are due upon the close of the Auction. Buyer hereby authorizes Auctioneer to process the payment for their purchases using the credit card provided, with the exception of Vehicles Item 5 and Item 9. Payment for these items must be made in cash or bank wire transfer following the close of the auction. Auctioneer will email an Invoice to Buyer upon processing payment. All sales are final and Buyer hereby waives their rights to refunds or credit card chargebacks. 5. SALES TAX: Sales Tax. Auctioneer shall collect and Buyer shall pay all sales tax, which will be added to the purchase price, including the buyers’ premium, on all purchased items. Dealers who purchase for resale must email to Auctioneer a copy their Sales Tax Certificate and complete a resale certificate(GA- ST-5 Form) PRIOR TO THE AUCTION CLOSING, without which Auctioneer will charge all applicable taxes. NO EXCEPTIONS. Email these documents to Robinhuff@atlbid.com. 6. REMOVAL OF ITEMS PURCHASED: Thursday, April 25 10:00 A.M. to 1:00. Buyers are required to remove purchases within the time frames posted. If you are unable to pickup your purchases in the allotted time frames, do not bid at this auction. Buyers are responsible for removing and loading their purchases. All purchases must be paid in full before items will be released from the premises. Buyer must provide their paid invoice and I. D. at time of pickup. We DO NOT offer shipping for this auction however if BUYER makes arrangement for a a shipper of their choosing the shipper must have a copy of buyers paid invoice at the time of pick up.